I bought this 66 back in January from a guy in Dallas. He had an ad on CL and I got a hand written 'bill of sale' from him. Well now Im having trouble registering in SC and I wondered if anyone knew who might have owned it previously. I would like to start working on it but I'm afraid to until I get the paperwork sorted out. Thanks for any help you GA guys can give! I don't recognize the car. Maybe somebody will come forward. Yeah, I don't recognize it either. Is there not a signature on the bill of sale? Does SC require titles for older vehicles? I remember the car from the craigslist ad but have no clue who owned it. Bryce your link goes to an admin only forum. SC requires the last registration from the last "titled owner in GA" which is a problem since it changed hands several times before I got it. And yes we require titles on all cars here. wow man, that could be very tough. Georgia doesn't require titles on cars that old, so if that car came from another state to Georgia, it's quite possible a "titled owner in GA" doesn't even exist. Looks like SC has an "older than 25 years" loophole though. Just looks like a lot of paperwork and waiting. Hopefully you haven't already tried this and been shot down. Do you know anyone in Alabama? There is a way to get around it all if you know some in Alabama willing to register it in their name and then sign it back over to you. 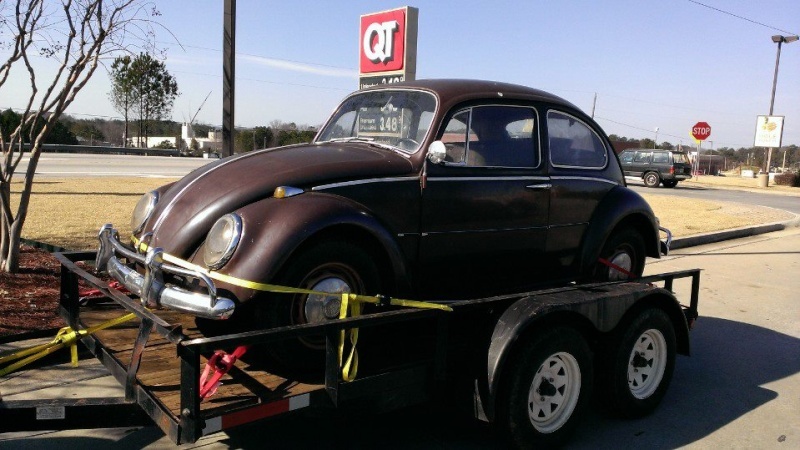 Alabama is easy to get a title and registration for a older model car...seen it done a few times:-) Last time one guy registered it in his name in Alabama and the new owner registered in his name in Fla the next day! !